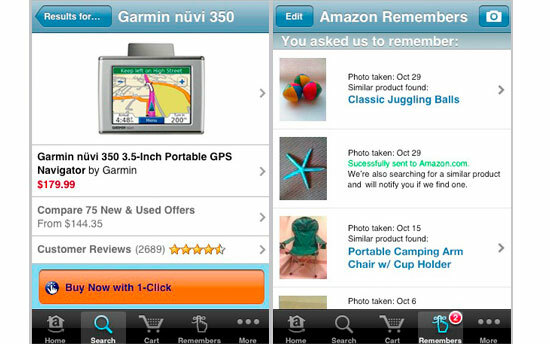 Last october a new and different version of Google Goggles for iPhone was released by Amazon. The app allows your phone to recognizes objects it sees and then gives you the option to buy them. Although it didn’t recognize everything, it’s able to work as advertised in a couple of cases, Amazon suggests pointing the app to a bar code on the product if it doesn’t recognize it. This app was preceded by Google, which released Google Goggles, a similar technology, for Android in December 2009 and now for iPhone.